Today we were able to take photos at a rehearsal (as opposed to a photocall). 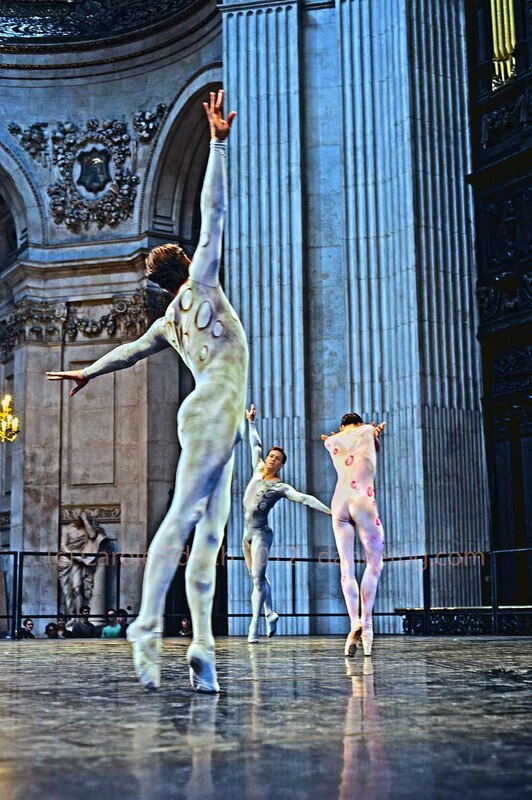 It was the English National Ballet at St Paul’s Cathedral with conductor Gavin Sutherland. This is part of the City of London Festival which would get far more attention was it not for all the many other events being held as part of Big Dance 2012. The light was beautiful and the opportunity to take shots of such great dance in such a wonderful environment is a real privilege. I didn’t even try to shoot over the heads of the not inconsiderable orchestra and choir, but stuck to the front stage left corner. I really enjoyed this and was sad to have to move on to my next appointment and regret having not been able to see the entire production. I have given this shot the HDR treatment to reflect the way I felt at the time.